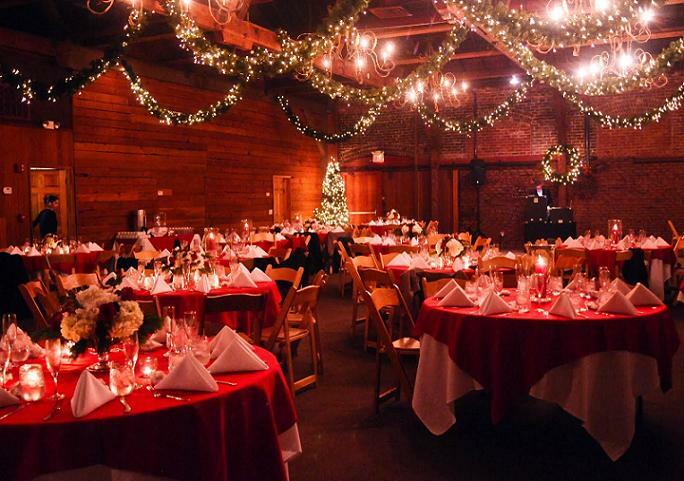 A Christmas wedding can be a magical affair. 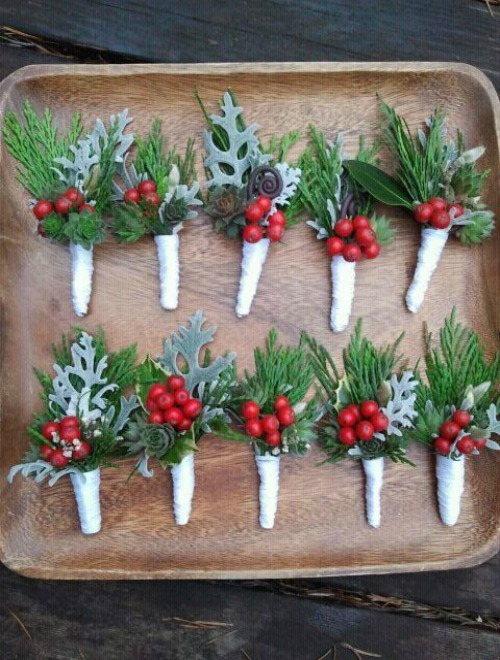 There are so many unique and creative things that you can do for a Christmas wedding. Ones that are so imaginative you never think they would work until you see the finished product! Just imagine the pristine white backdrop of snow against the vibrant reds, greens and golds of various Christmas ornaments and the season’s blooms. We have searched all over the internet for the best, the most beautiful, and the most romantic design inspirations and ideas for your big day. 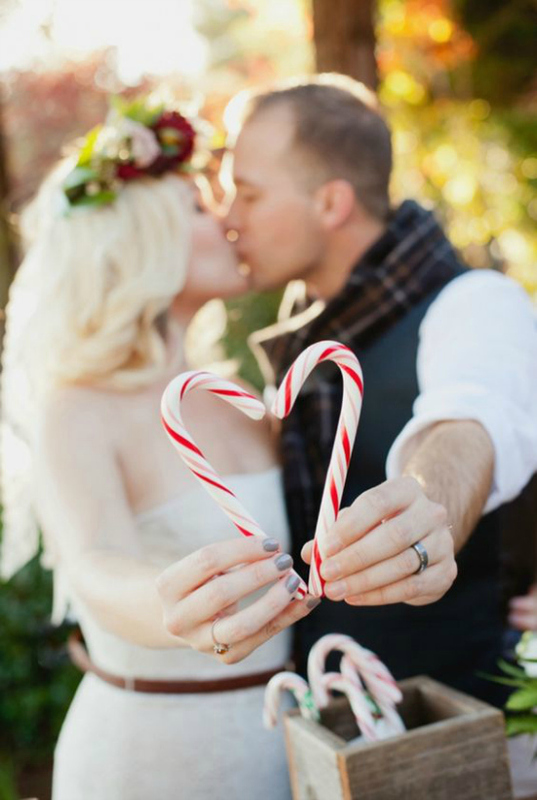 Some Christmas Wedding Ideas are classic elegant, and some are quirky adorable. Some are simple, and some are jaw-dropping grand. Let your personalities do the talking and let them shine through at your wedding. 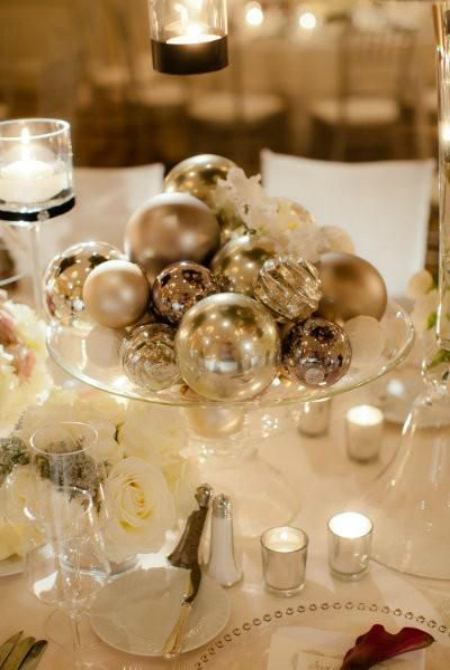 Your Christmas wedding need not be cold and boring with these beautiful design ideas! Be sure to check out our collections of Alternative Christmas trees. Admit it, you fell in love with Olaf from Frozen because of this line. 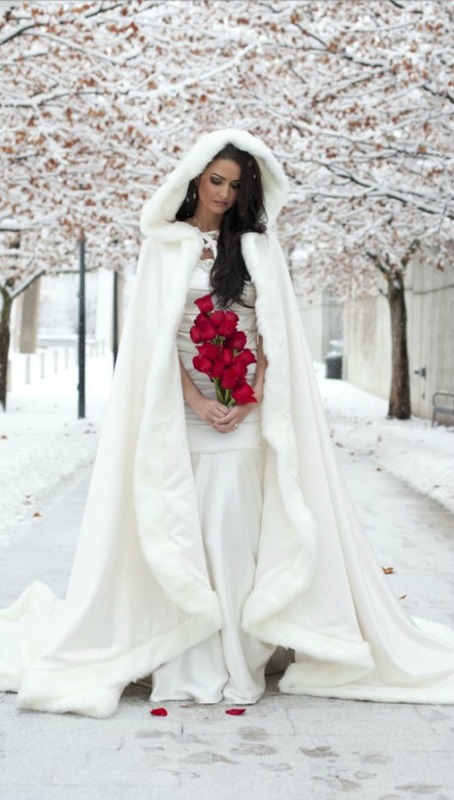 Grab this idea for your winter-themed or Christmas wedding! Write down your favorite love quotes from your favorite movies or books. You can also put your favorite lines from your favorite songs. 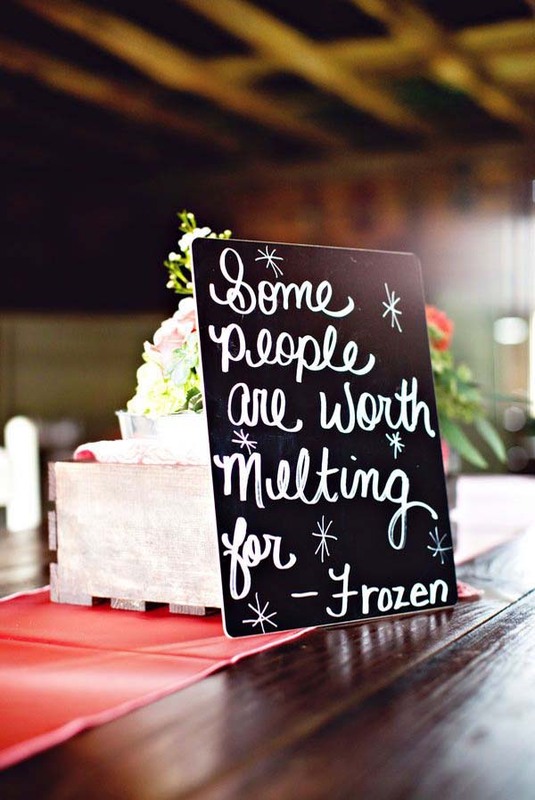 Write them down on small chalkboards and place one at each table for the reception. It’s a cute idea and a fun way to get the guests talking about them! 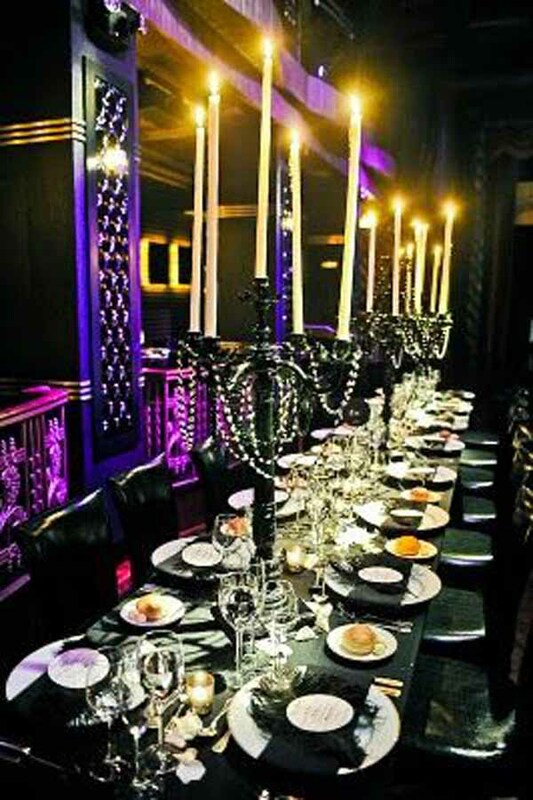 Here’s one of the most fabulous Christmas wedding receptions a woman would wish to have on her wedding day. The well-lit christmas tree and garland made this whole setting seems magical. 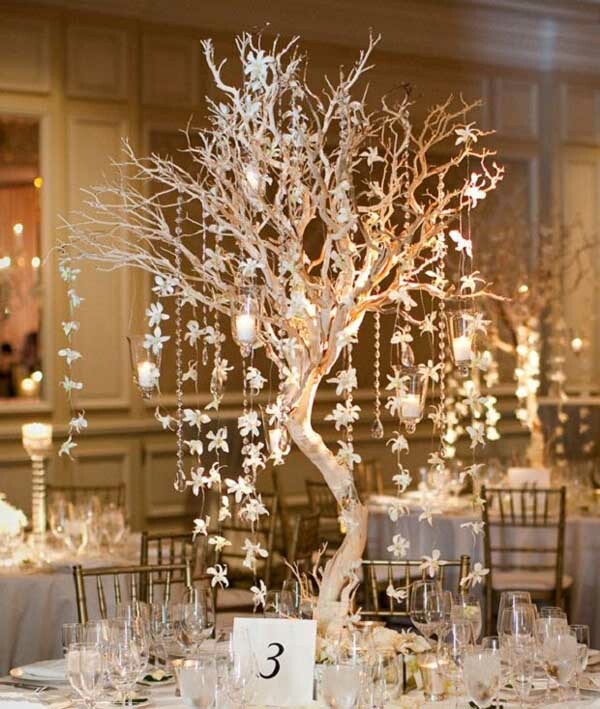 How about this beautiful wedding wishing tree as a centerpiece? They instantly add an elegant and glamorous element to any wedding. Guests will have a great time writing their wedding wishes for the newlyweds and hanging them onto this lovely tree. 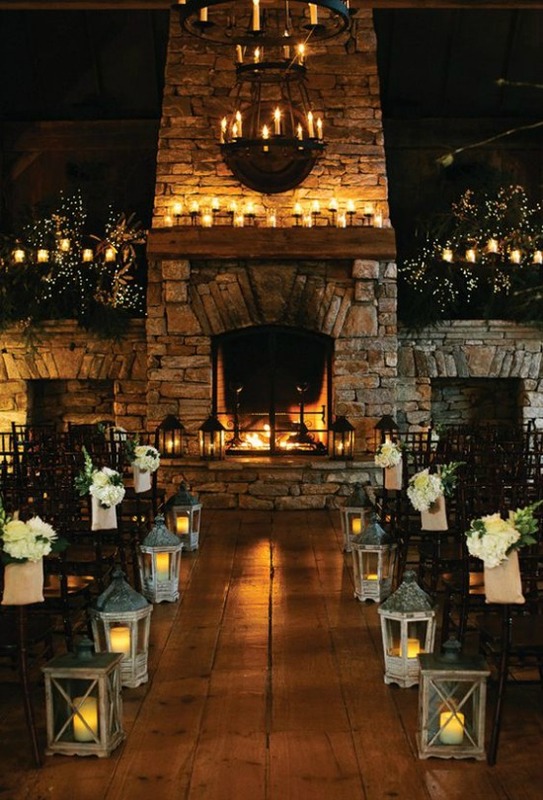 You can add votive candles and garlands of white flowers to keep with the winter wedding theme. Need some ideas for table centerpieces for your wedding reception? Why not have these dazzling decorations? 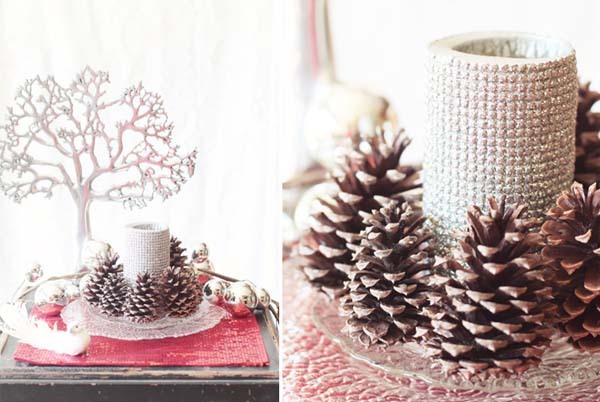 Some pine cone needles, Christmas balls, and silver figurines will look amazing on your tables. And they’re so easy to make, too! 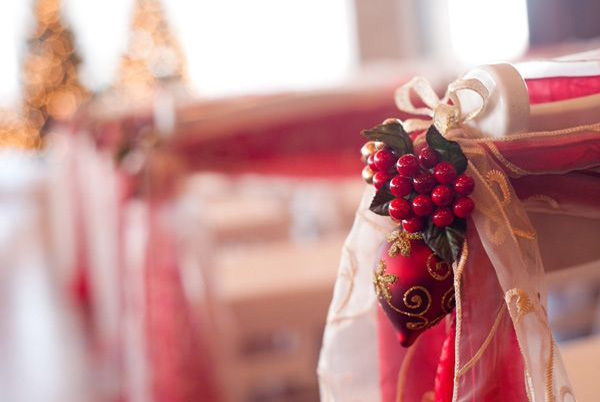 You can also incorporate poinsettia flowers and Christmas ornaments as wedding decorations. You can place them on church pews for the wedding aisle. Add some shiny lace and chiffon ribbons for that more festive and romantic look. They’re so easy to make but definitely make a lot of impact. Turn those red napkins into beautiful works of art. 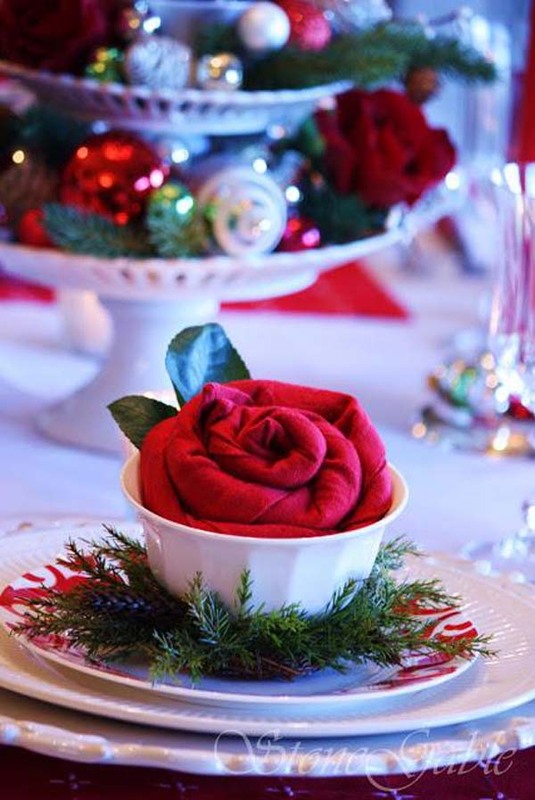 This red rosette made from table napkin is sure to charm your guests and add that pop of color to your wedding decorations. What a simple but elegant idea that need not be expensive. It goes perfectly with any color or wedding motif, too. Complete the wedding table decoration with these beautiful and adorable card display, adorned with small, golden bells and red ribbon. Be creative in taking wedding photos like this one. Holding a candy cane to form a heart. This looks so romantic and sweet (literally). Thinking about getting pre-nuptial photos for your Christmas wedding? How about this one? 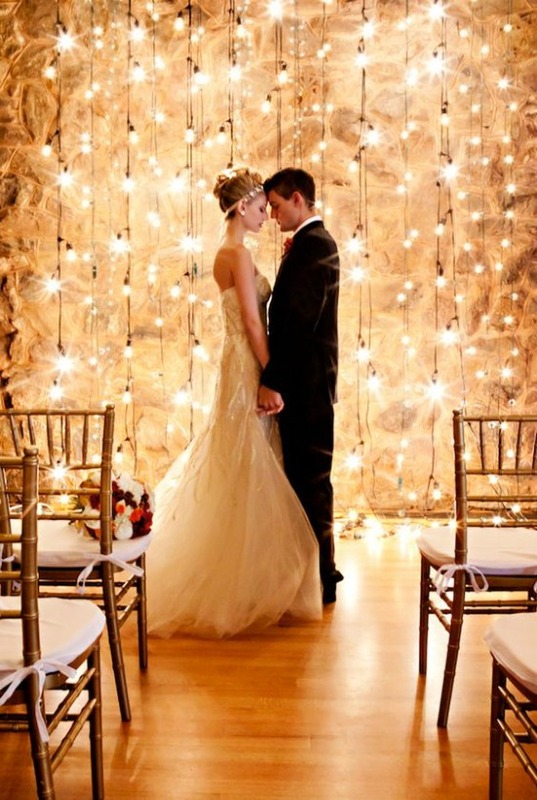 Wrap the couple with beautiful string light. Just be careful tho. Pinecones, berries and pine needles are often associated with Christmas. 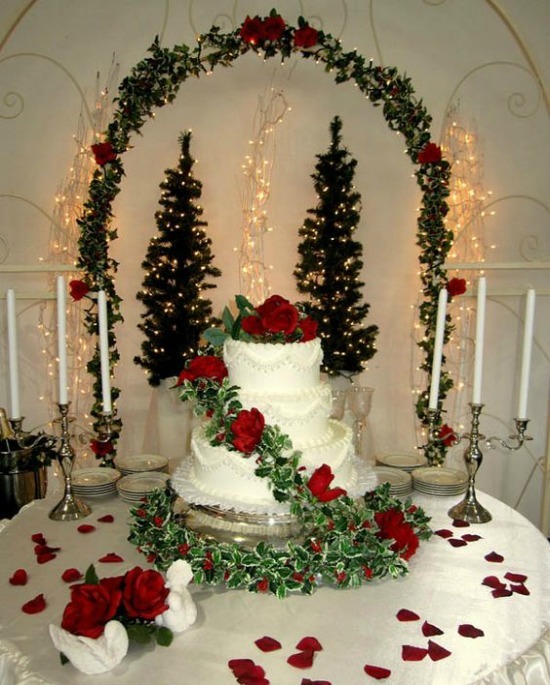 And with this wedding cake, you can definitely feel the air of Christmas. This looks simple, yet fabulous. 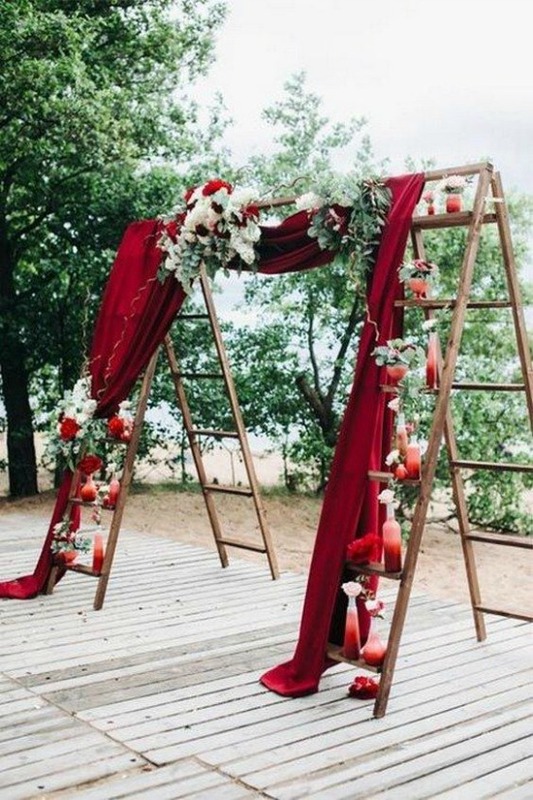 I love the idea of using ladders and decorating it with reds and flowers. Awww, this is so cute. 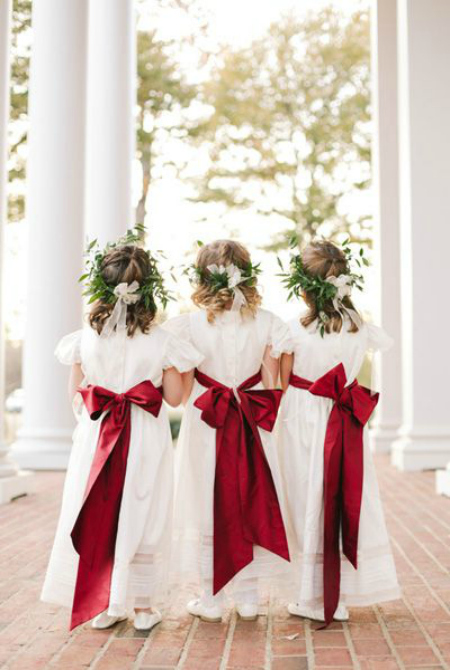 You can tell that this one has Christmas-theme with the big ribbon on their dress. This wedding cake is a combination of simplicity and elegance. 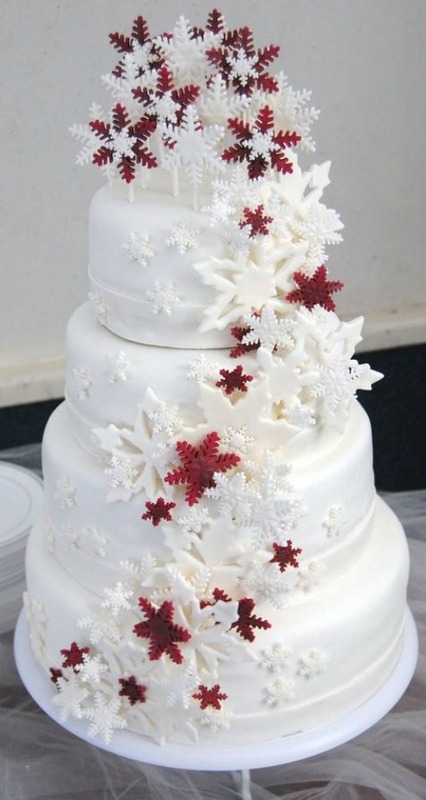 I love how the red snowflake contrast with the pure white cake. 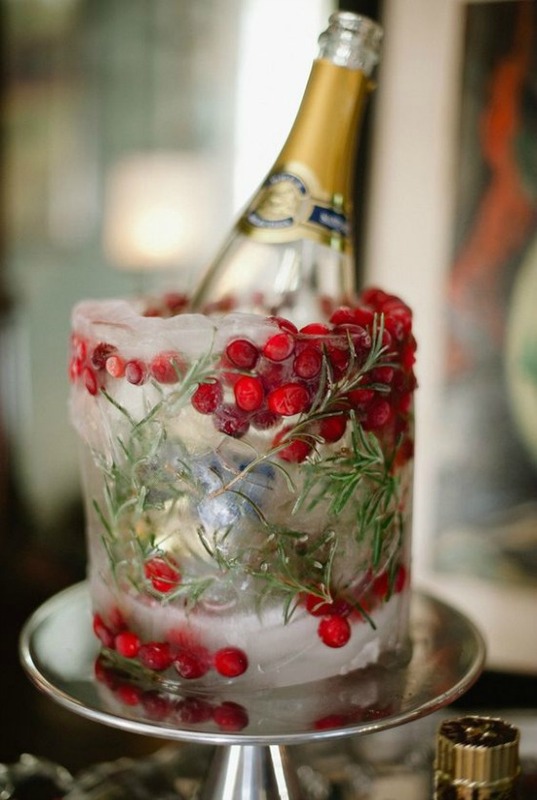 No need to worry of your wine and drinks getting warm with this beautiful ice bucket. 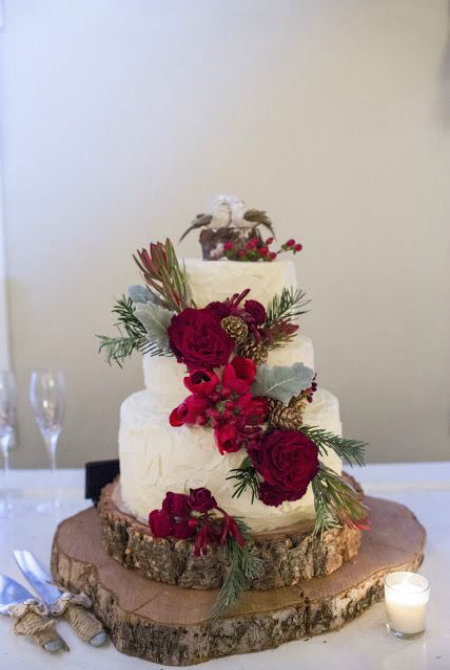 With the frozen berries and pine needles, this is perfect for a Christmas wedding. Simplicity is beauty, they say. That’s indeed true with this simple yet beautiful pinecone chair decoration. 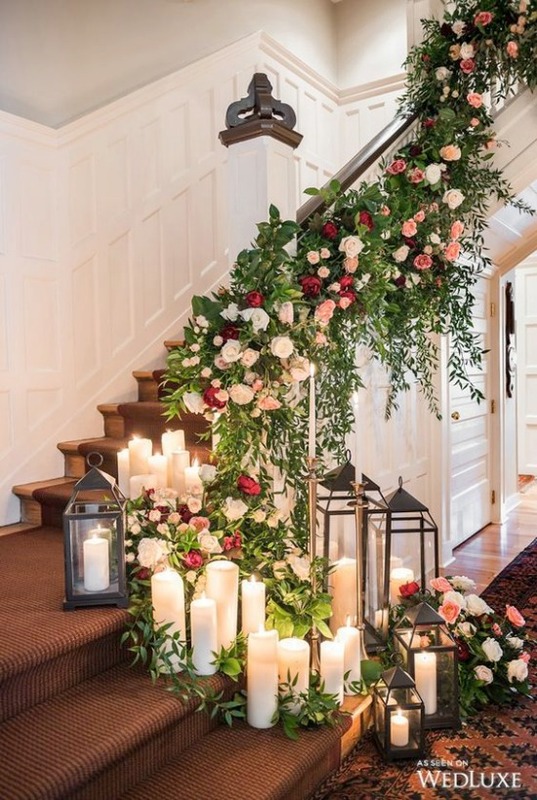 Create a grand and majestic staircase setting with these fabulous decorations. Use candles, lanterns, garlands and lots of flowers. 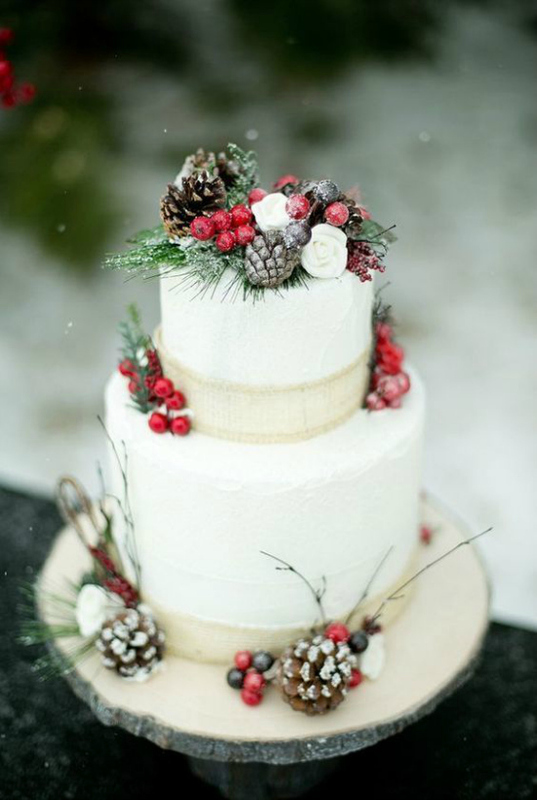 Go for this elegant and exquisite red and white wedding cake, with a touch of Christmas! You can opt to put fresh flowers as cake toppings. You can also put artificial flowers in bright colors for that extra pop. Adding a bit of silver and gold will make it look more festive, too. A silver and white wedding cake? Lovely! 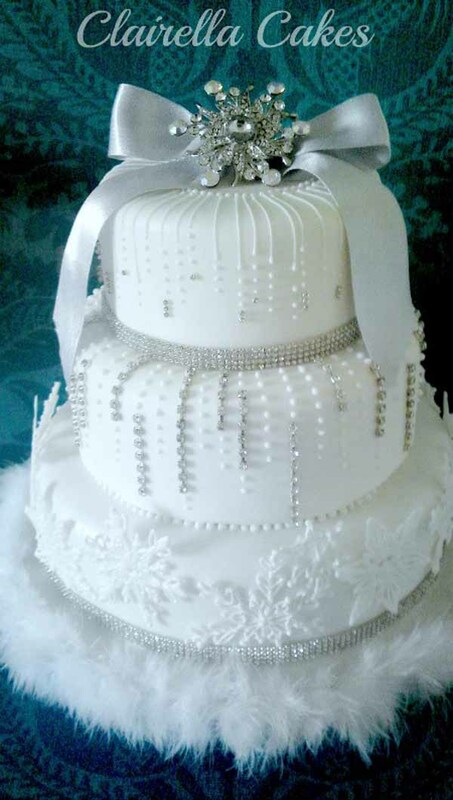 A snowflake-inspired, three-tier fondant wedding cake? Even lovelier! This cake is sure to be a standout because of its simplicity and elegance. I bet it tastes heavenly, too. 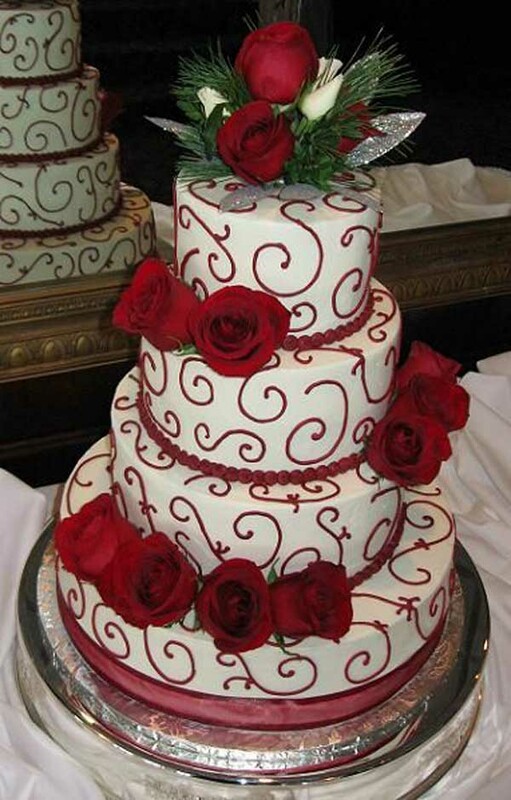 This wedding cake is sure to put a smile on everybody’s faces. How can one not be delighted bysnow inspired wedding cake? With a snowman bride and groom cake topper to boot! 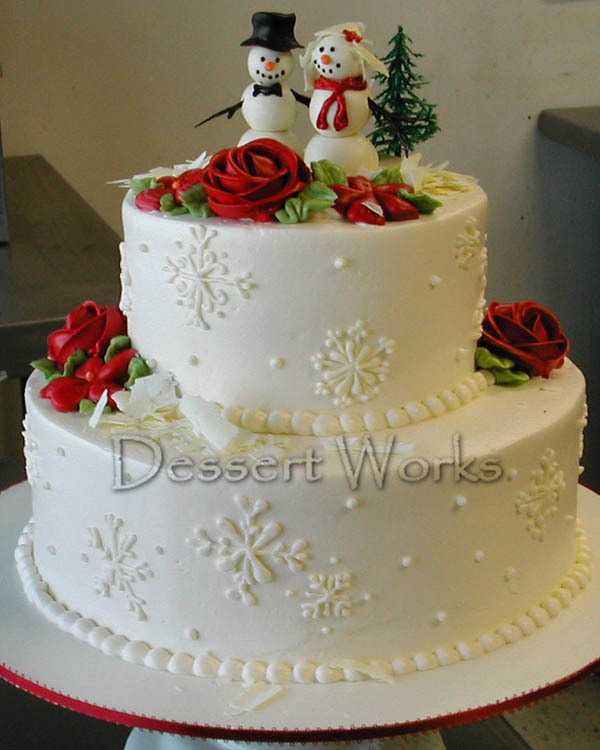 Adorn the cake with snowflakes, red roses with green leaves, even a tiny Christmas tree on top. 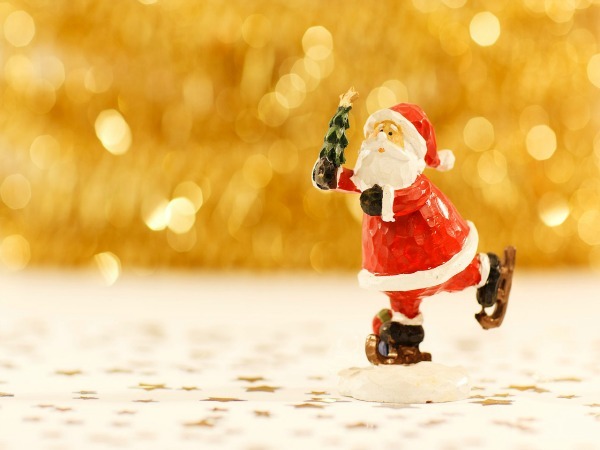 Best wishes, and a happy Christmas! Add that burst of color to your wedding dress with the colors of the season. This bold red belt that doubles as a train looks absolutely fantastic, a pop of color against the sheer white background. 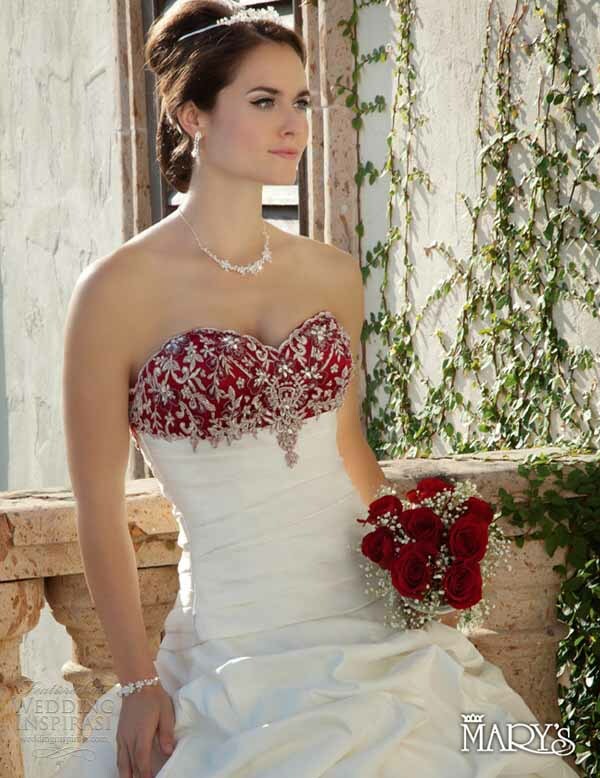 This dress would look fabulous in your wedding photos, and it truly is a gorgeous color combination. You will feel like a princess wearing this one, that’s for sure. A classic white wedding dress is beautiful. 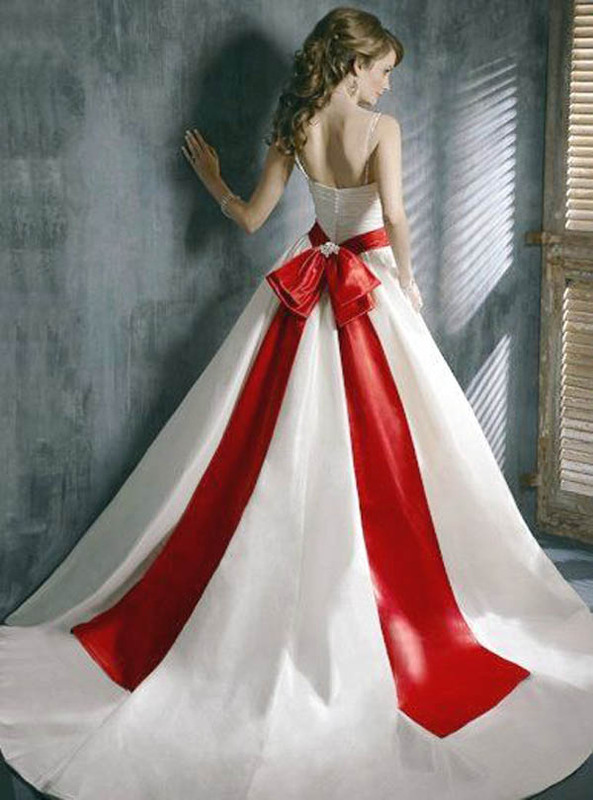 But this red and white wedding dress completely bowled me over. It’s fashionable and edgy, but still keeps that classic and elegant look. 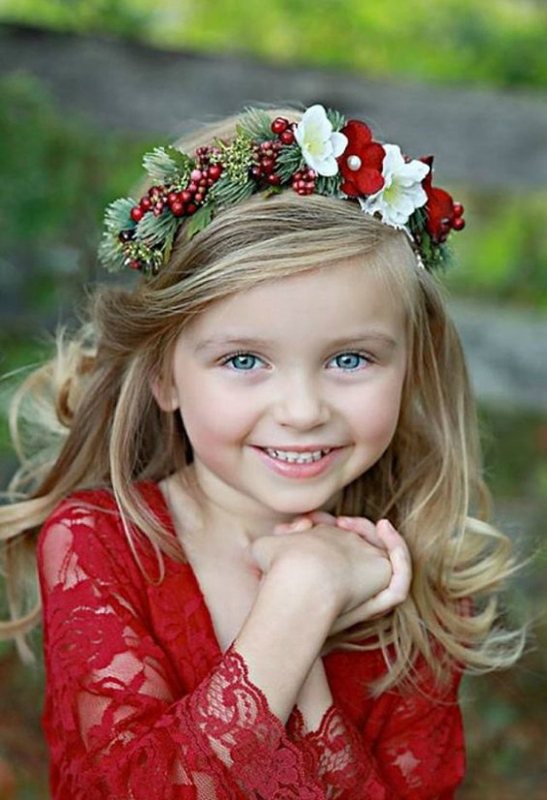 Plus how the bouquet of roses matched the red of the dress — priceless! I’ve always loved the movie Nightmare Before Christmas. 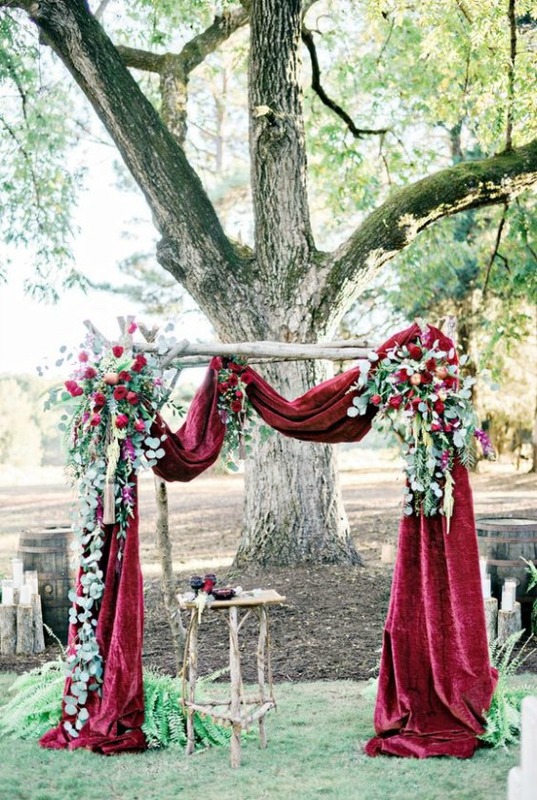 This wedding was inspired by the film and everything looked absolutely stunning. For that edgy and unique Christmas wedding, you can go for the movie’s colors. Lots of purples and blacks, with touches of silver and gold for that festive feel. These Nightmare Before Christmas inspired wedding decorations are sure to make any fan of the movie excited! They are unique and unusual, and definitely unforgettable. Get this Jack Skellington and Sally table centerpiece, adorned with an elaborate arc of black flowers. 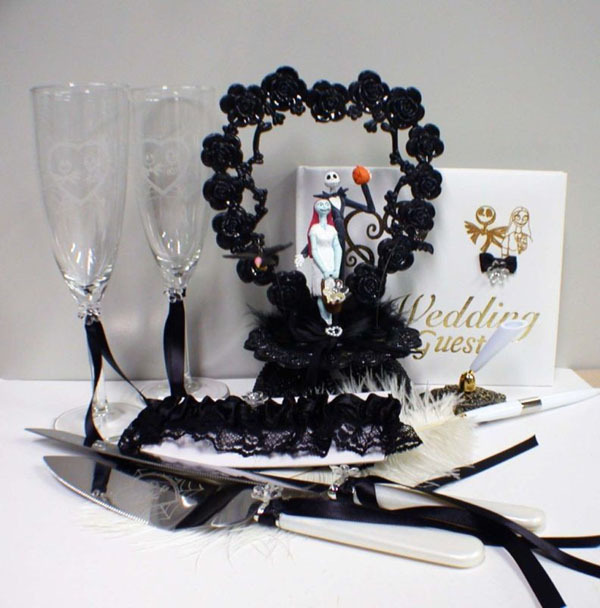 Add black lace and ribbons to wine glasses and utensils, and print out Nightmare Before Christmas place cards to complete the look. You can never go wrong with red roses. Roses are perfect all year round. Add small boughs of holly and some pine leaves for that cheery and joyous feel. Place them in clear or colored glasses, whichever you prefer, and use them as table centerpieces. 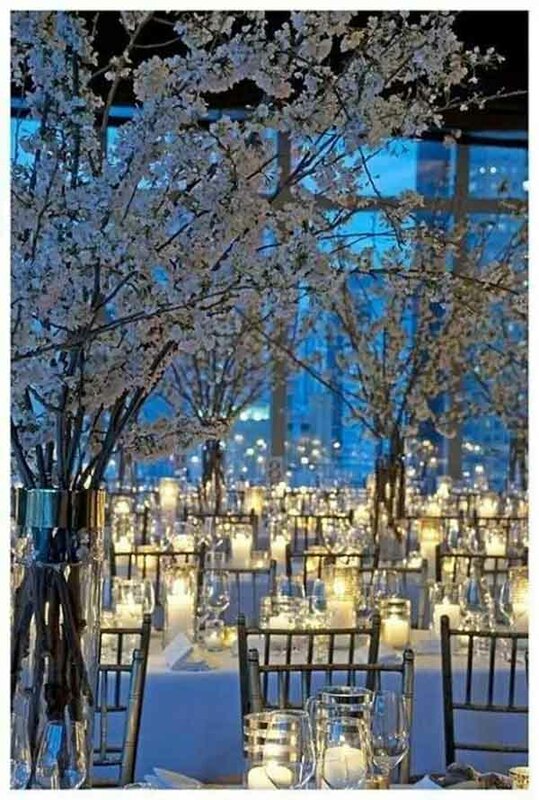 Candles can be lovely wedding table decorations. Just add some festive-looking ribbons around the candles. Place them on a small silver platter and add some sparkly Christmas trinkets. Sweet and romantic, and definitely very Christmasy! 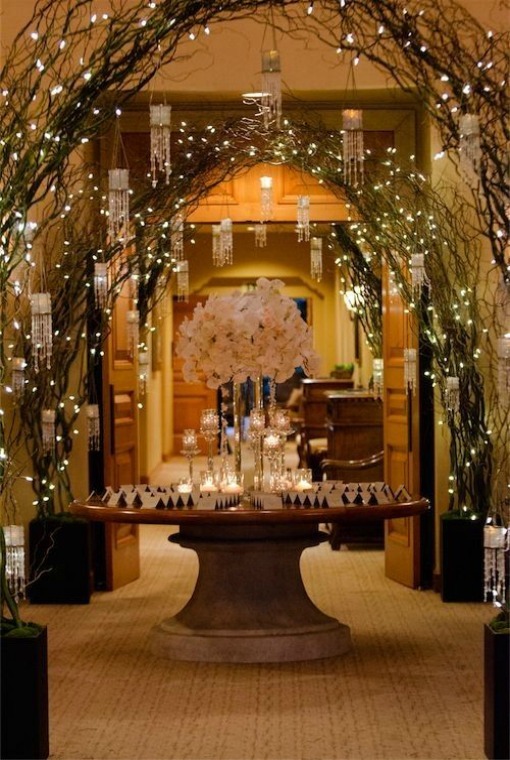 Grab this stunning design inspiration for your Christmas wedding. 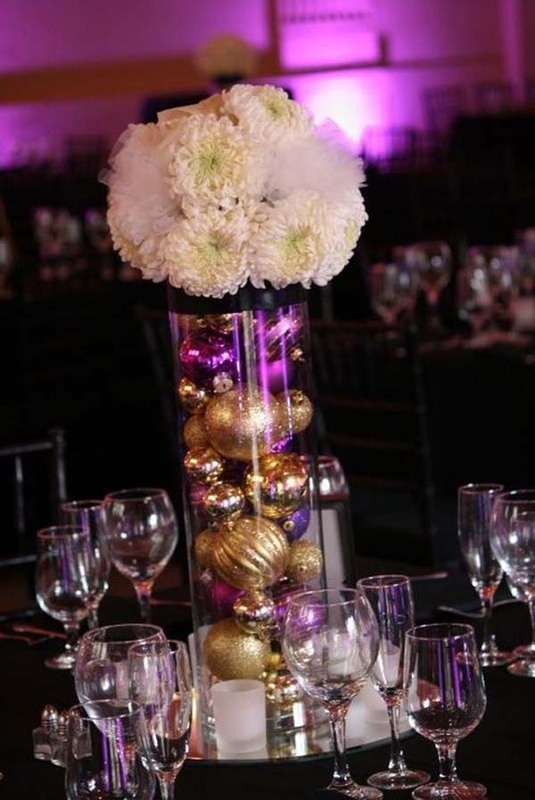 All you need are Christmas balls, a tall glass vase, and a bunch of your favorite flowers. Stuff the balls inside the vase and top it with your blooms. Easy, inexpensive, and absolutely lovely table centerpieces you got there. 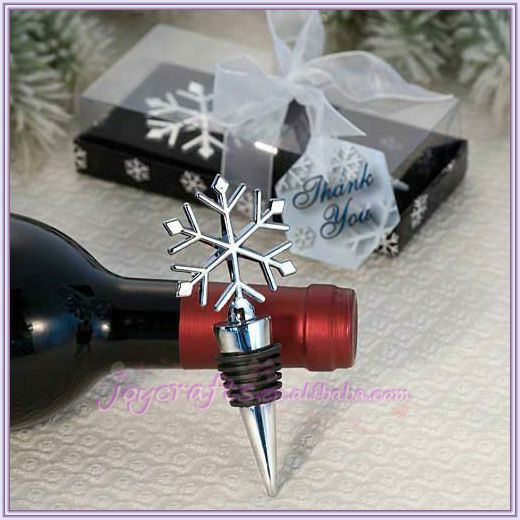 How adorable are these snowflake wine bottle stoppers? They add the fun and cute in these otherwise plain and boring wedding favors. Have them customized to anything Christmas-related. But we think this snowflake design is a runaway winner. 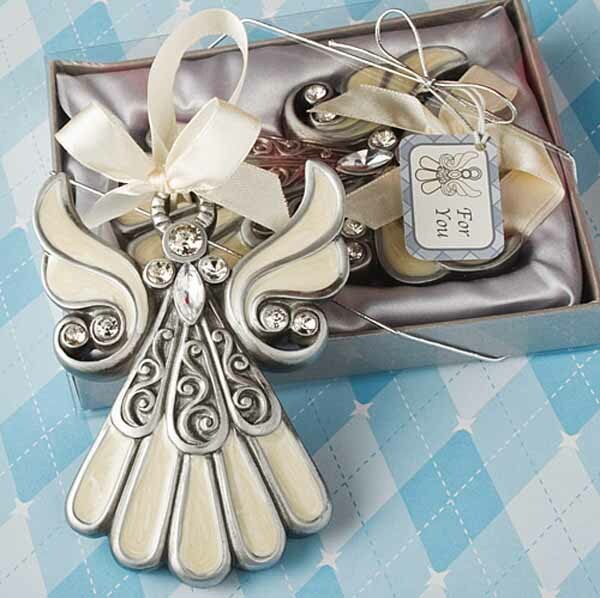 You can have these elegant and exquisite angel Christmas ornaments as a wedding favor. They definitely go with the Christmas theme. They’re sweet, pretty and practical. Your guests will be using them every Christmas for a long time! 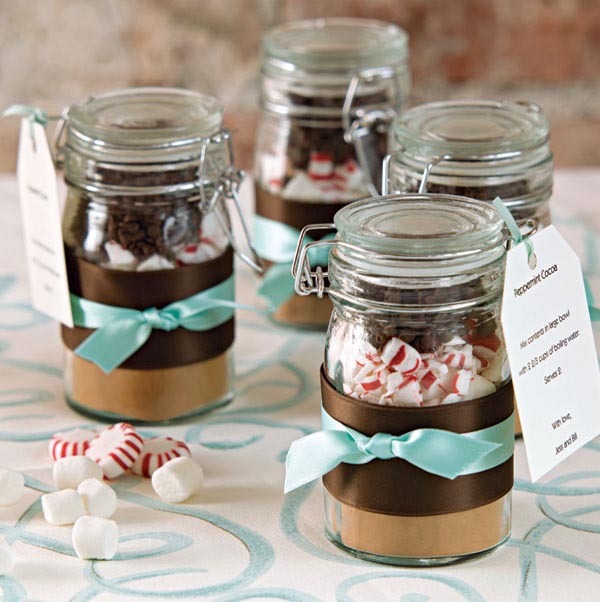 How about cocoa as wedding favors? I’d definitely be lining up to get one of these before leaving the wedding reception. What’s not to love about hot cocoa topped with marshmallows and chocolate bits? These yummy wedding favors are definitely a must! 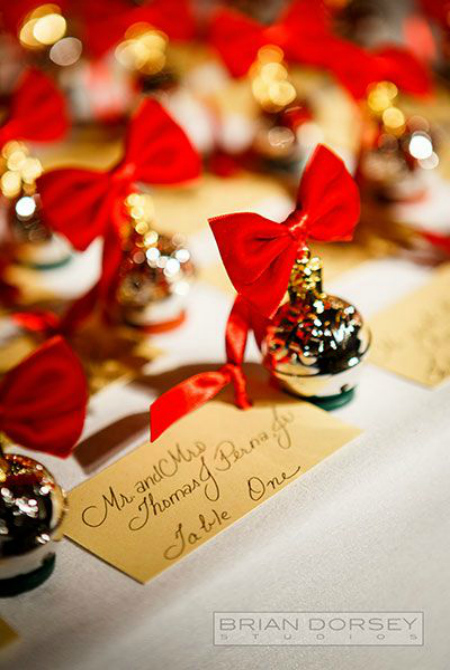 This wedding reception idea is so festive and grand and screams Christmas! 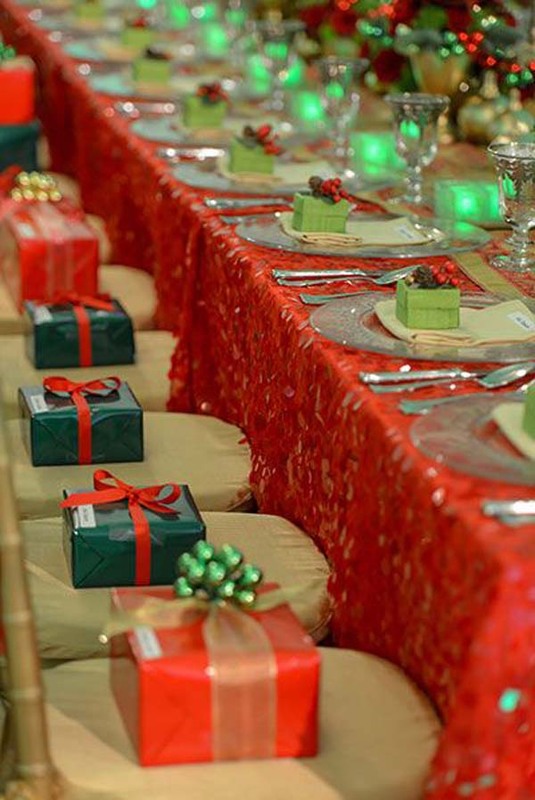 Everything is color-coordinated, from the presents on the chairs to the wedding favors on the plates. 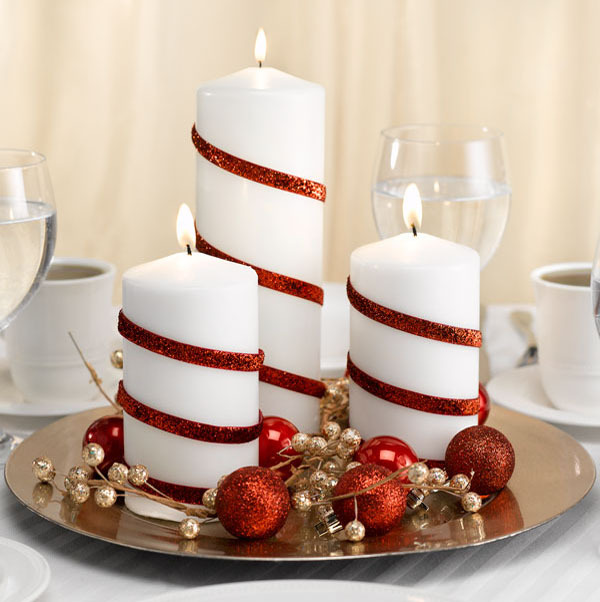 Even the holiday centerpieces and votive candles match! It’s so pretty you just want to preserve the look forever. 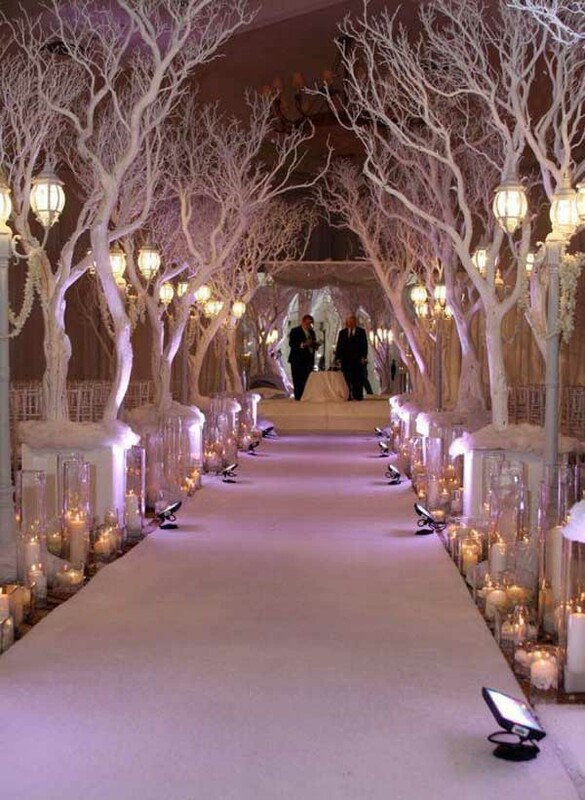 A winter wonderland wedding? Here you go! Everything about this wedding reception is gorgeous. The soft lights and the snow effect on the leafless trees are just magic. The most magical day of your life just became even more magical with this. It’s like love at first sight. My dream wedding reception would look a lot like this. Imagine yourself sitting on one of those tables, sharing stories with good friends and exchanging kisses with your special someone. This is the perfect wedding reception. There’s a cute and creative way to save your wedding invitation. 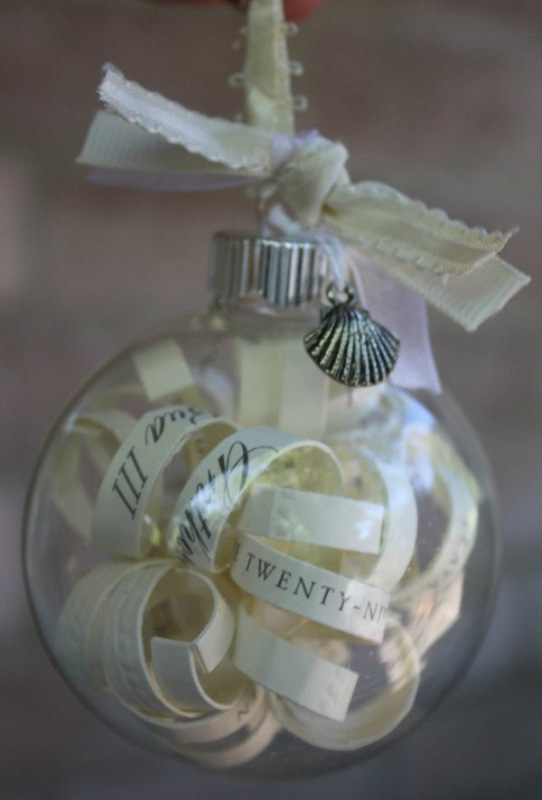 You can cut up old wedding invites and use them to stuff inside Christmas baubles! It’s the perfect way to preserve your and your friends’ wedding invitations. It’s a sweet and romantic gesture, plus they look really beautiful. 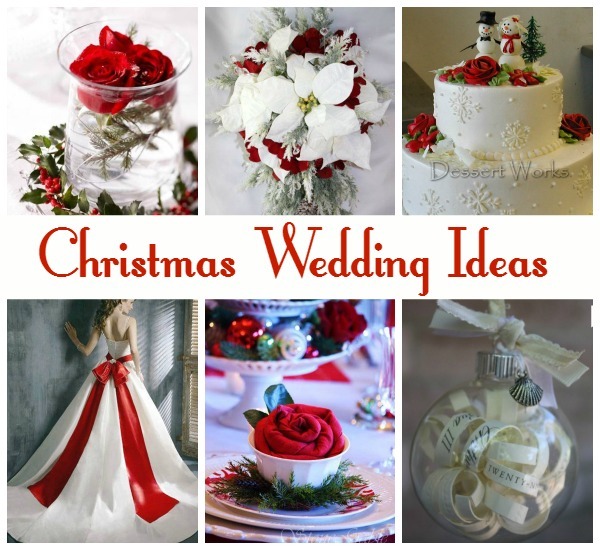 Having a Christmas wedding? 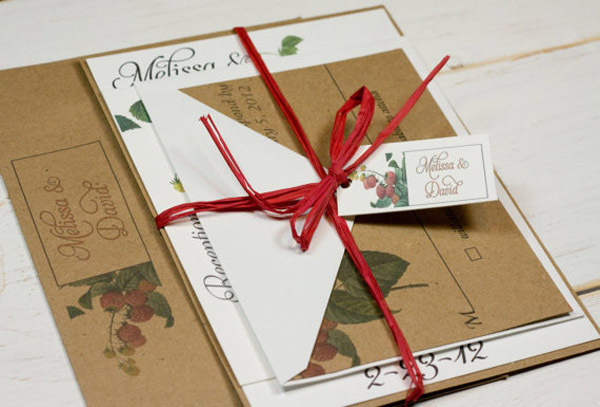 Why not make your wedding invites with traditional Christmas colors and designs? This particular design is simple and clean, but still gorgeous and elegant. There are so many designs to choose from, so let your personalities shine through! 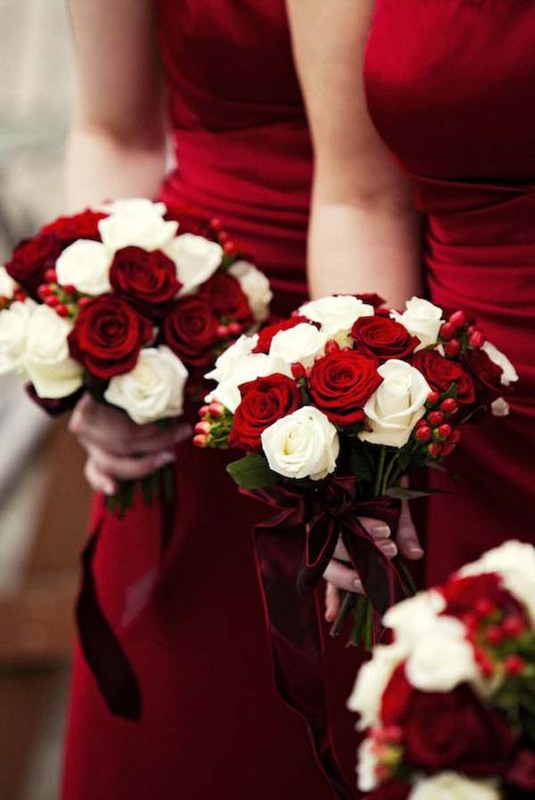 Go for deep red and white roses if you’re having a Christmas wedding. Green leaves and boughs of holly will provide a nice and elegant contrast as well. 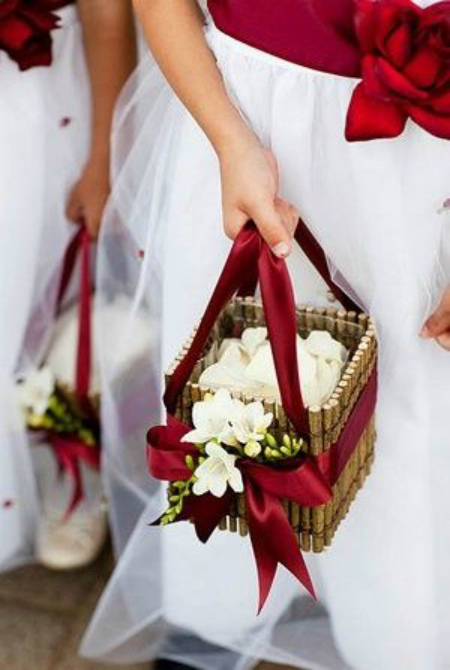 Just imagine these pretty bouquets with your bridesmaids. Overall look: stunning and elegant. Why not make your wedding bouquet the flowers of the season? 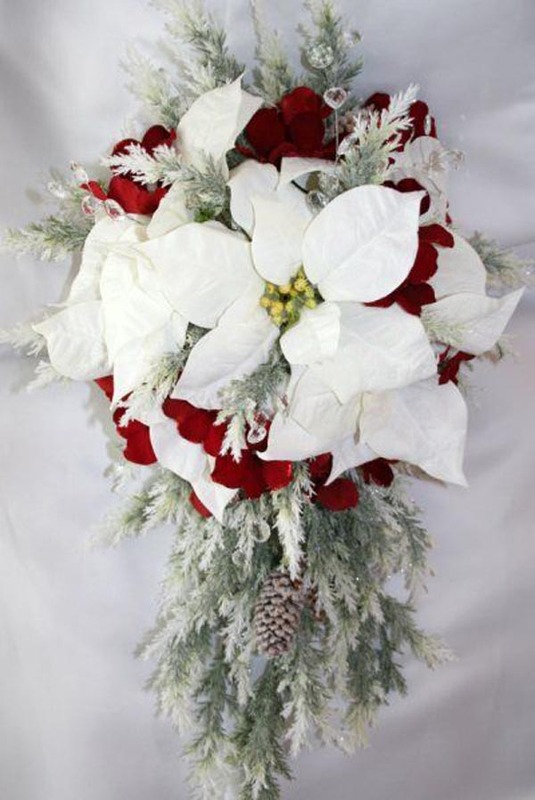 These red and white poinsettias will make a striking bouquet. 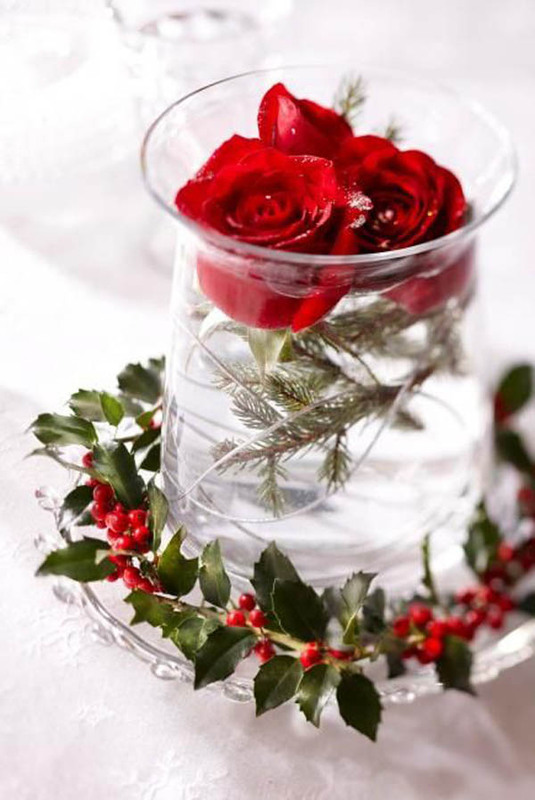 It will definitely give your Christmas wedding that festive but romantic feel. Plus they’re really classic and beautiful, too! 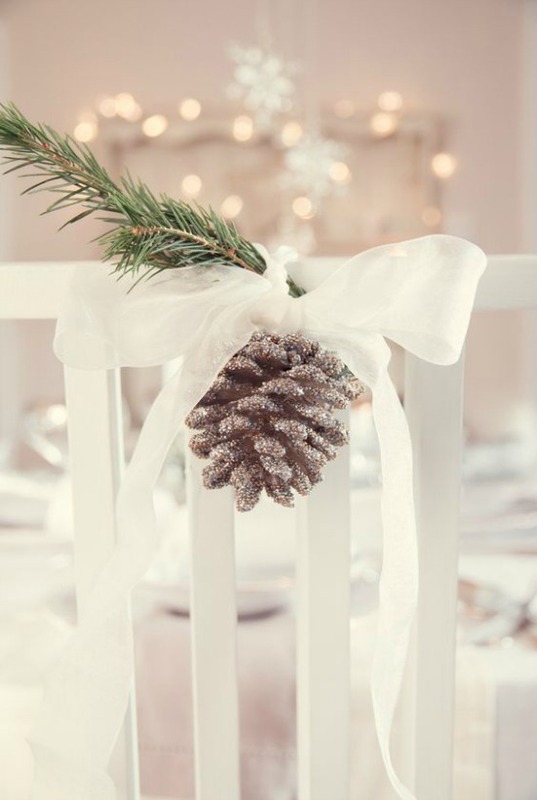 We hope you found these Christmas wedding ideas really helpful on planning your own. Everything looks beautiful, and we hope that your wedding will be, too. Happy holidays and best wishes!